Spring is that time of the year where everything feels refreshed and renewed. This is when life begins for most of flora and fauna, and this is when flowers bloom. As you begin your new life as well and let your love bloom at its peak, spring can be the perfect time for a wedding. With so many flower choices in season, and not having to worry about cold or snowstorms, the next step is for you to get a wedding theme. Here are some spring wedding theme suggestions and other ideas you can incorporate in your spring wedding. Garden wedding - Because of the beautiful colors of spring and the fresh blooms in gardens, garden weddings or an outdoor wedding would be your top choice for a spring wedding. You don't have to worry about snow ruining your special day and a garden wedding can save you a lot of money for decorations. Because the garden is already prepared, you just need a few decorations in some select spots and your venue is ready for your guests. 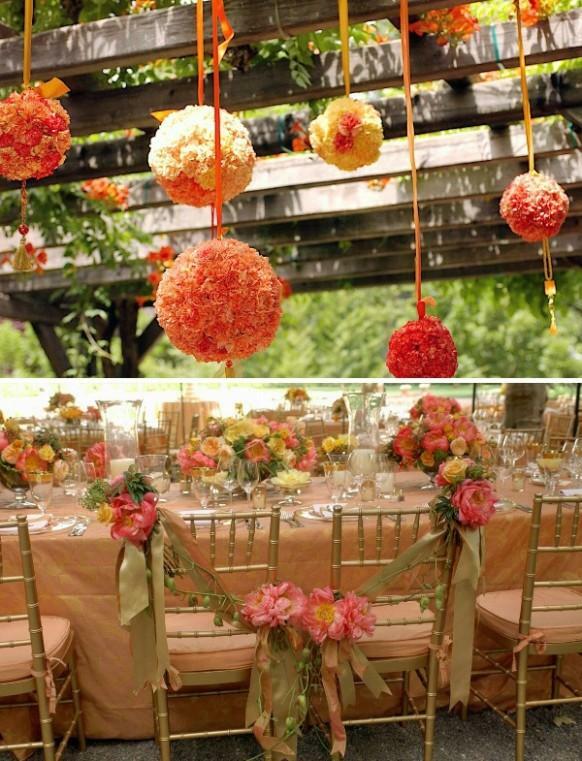 It is best to stick to pastel colors and you can choose one specific color and make it the theme for the wedding. From the invitation down to the wedding favors, you can have a yellow spring wedding theme and have everything in different shades of yellow. 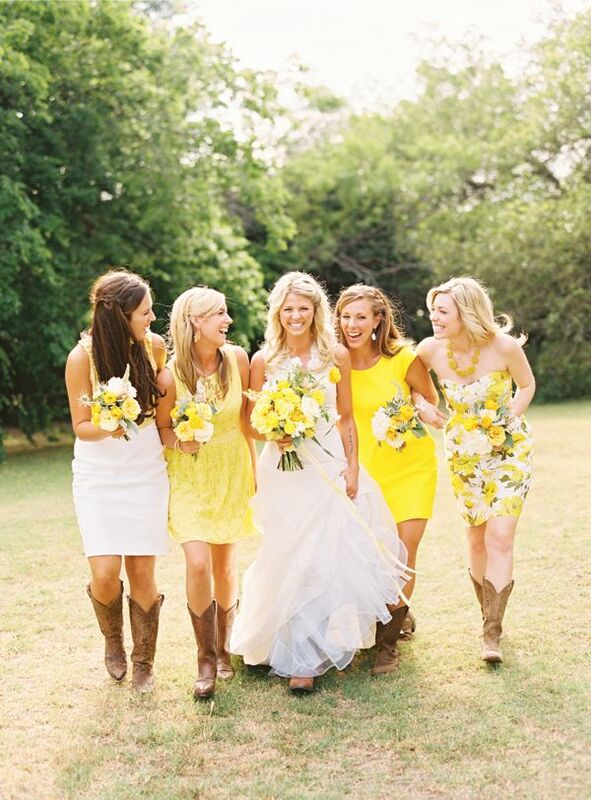 Nothing looks better than having you and your bridesmaids in their bright yellow dress in a green garden on the background and with the sun shining down on everyone - this can be the best photo that you can have. There are different invitation designs but for spring weddings, it is best if you use pastel shades for the invitation paper and have floral prints on the background or as a silhouette, or emboss spring scenery on one side of the invitation panel. Your menu should also reflect the flavors of spring. Fresh vegetables such as baby asparagus and baby carrots, as well as fresh fruits can truly complete a refreshing meal for you and your guests. 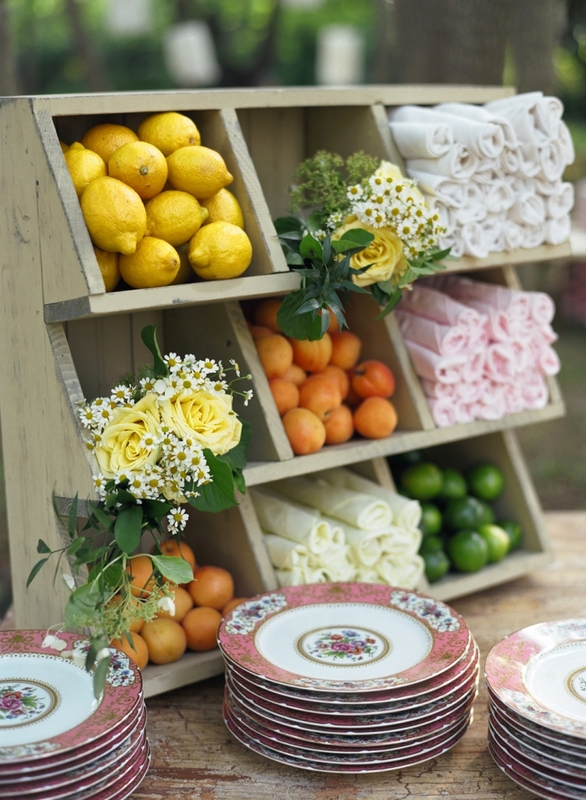 The menu can contain any type of food, but some tropical or outdoor themed food ideas will give it a springtime feel. Ice cream is another great idea for when the weather is warm. Small decorative pot plants, seed packets, and small pail with small packs of candies are all good ideas for spring weddings. Place wedding favors labels, hang tags or other favor labels printed with your wedding details and they are ready to be given to your guests. You can also choose to have the hang tags in the shape of a leaf or butterfly. Now get your wedding checklist and organize everything based on the theme of your choice. Complement your wedding reception with fun and soothing music that will fall softly on the ears of your guests. 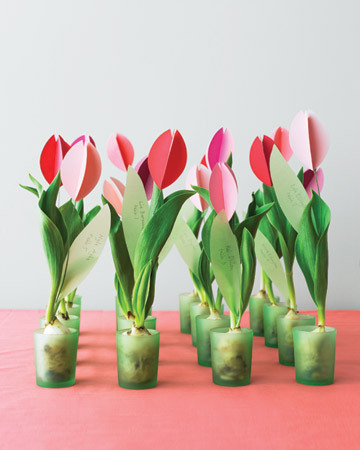 You can create that dream spring wedding with décor, invitations, and favors that will truly reflect the freshness and the different blooms of spring.